If you’re a fan of Italian wines, you probably have heard of the Ceretto family. A powerhouse family in Piedmont, Italy built upon the idea that great wine comes from great grapes, and one must invest in the land. Bruno and Marcello Ceretto had a dream to own a winery which not only made great wine, but told a story of the vineyards and the land. Against their father’s warnings, they invested in some of the finest vineyards of all of the world, and brought “Cru,” the connection of terroir and fruit, to Italy. It didn’t take them long to take off and gain recognition, the wines spoke for themselves, and to this day, they are one of the most important winemaking families in all of Italy. Unsurprisingly, the dedication to the art of farming and winemaking would pass on to the later generations of the Ceretto family, and in around the year 2000, they embraced fine art, gastronomy, and architecture. These other forms of art would eventually find their way into the Ceretto experience and be a part of the family culture, from renovations on their property by world famous architects, to a partnership with Enrico Crippa, chef of 3-Michelin Star Piazza Duomo. This would form the Ceretto Reality, a trifecta experience of fine wine, fine dining and fine art. Their legacy would continue to spread across the globe, and luckily for us, we were able to catch a glimpse of what that reality was like. 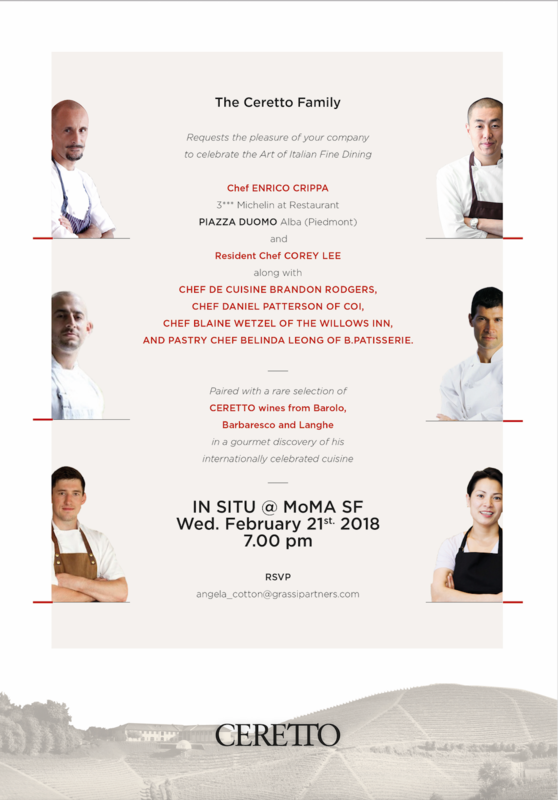 We were invited to an event at In Situ, the famous Corey Lee restaurant in the San Francisco Museum of Modern Arts, hosted by none other than the Ceretto family. 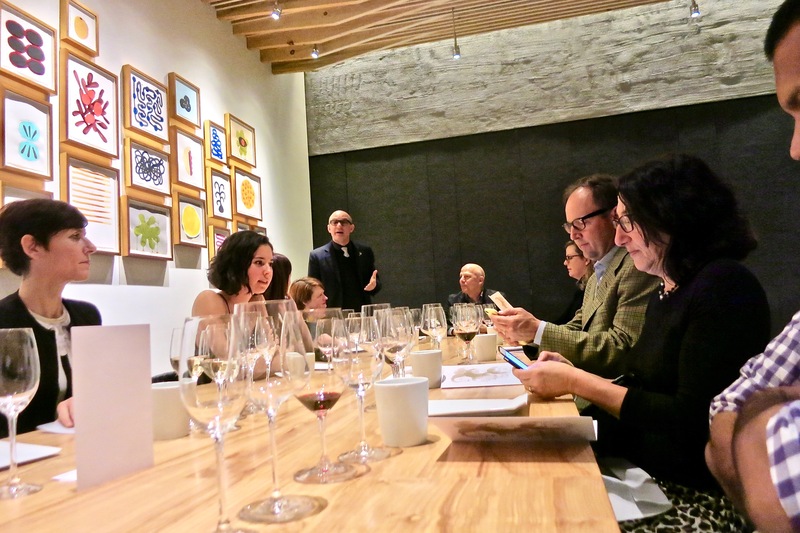 This was a night to celebrate not only great wine from the Cerretto family, but art–interpreted in the form of gastronomy, by some of the greatest chef’s the world had to offer. The all star lineup included Chef Enrico Crippa (3-Michelin Star Piazza Duomo), Corey Lee (3-Michelin Star Benu), Brandon Rodgers (Chef de Cuisine 3-Michelin Star Benu, Executive Chef In Situ), Chef Daniel Patterson (3-Michelin Coi), Chef Blaine Wetzel (2x James Beard Winner, Willows Inn Restaurant), and Pastry Chef Belinda Leong (B.Patisserie). 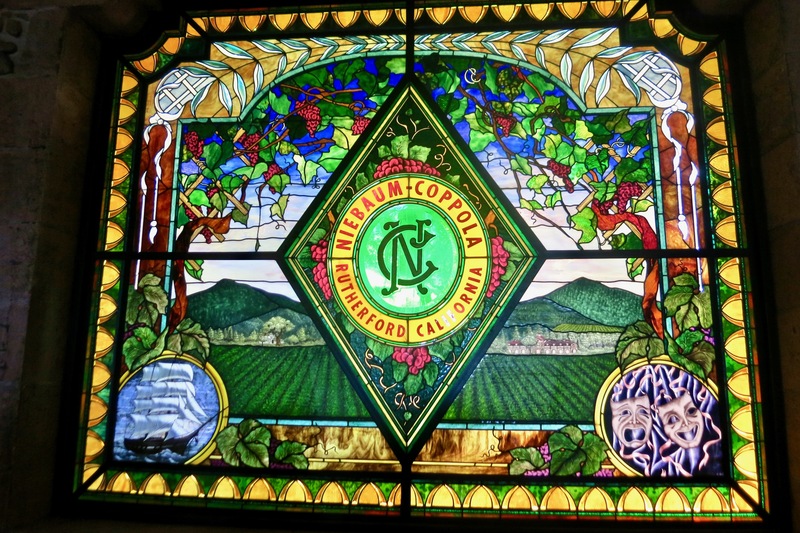 We all know the great wineries that help founded Napa and put it on the map, such as Charles Krug and Robert Mondavi, but we often overlook the fourth winery Inglenook on its hand in what made Napa great. Perhaps it’s due to the fact that it went through numerous name changes, or perhaps that we tend to think of The Godfather more often the excellent wines produced here. 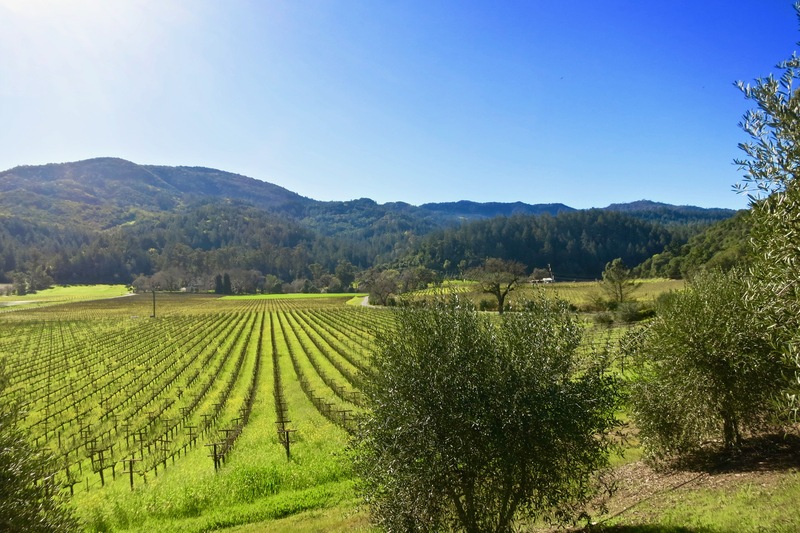 Regardless of how we remember it, at the end of the day, Inglenook has deep roots in the history of Napa, and their wine is definitely world class. Inglenook’s history is a rich tale of multiple ownerships that involve some pretty incredible people, but trust us it is long so try and keep up (seriously this is going to be a load of information!). If you’ve gone to Napa over the last few years, it’s been pretty hard to miss the construction going on at Piazza Del Dotto right at the beginning of Oakville. Already known for their exceptional wines and super fun cave tours, it seems like they were ready to expand even further in the realm of their top of the line experiences.The installment of Piazza Del Dotto came from their family philosophy that wine tasting should be a complete sensory experience. 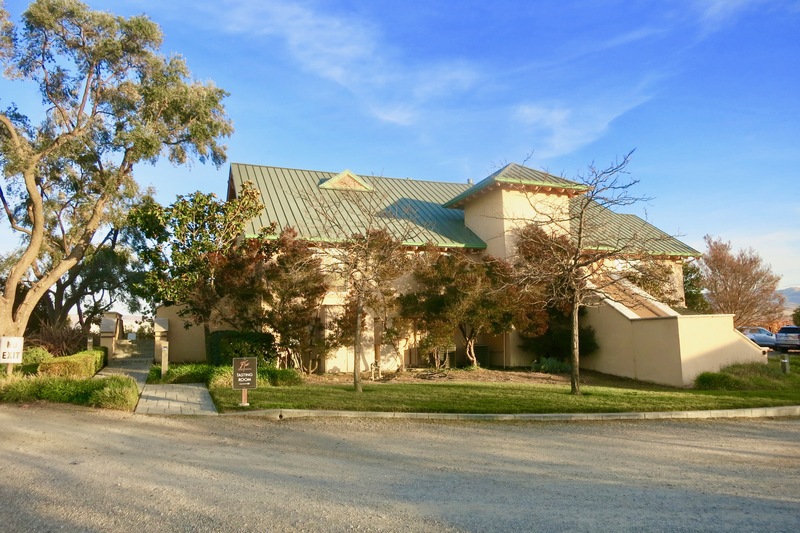 Dave and Yolanda Del Dotto, already avid wine collectors, managed to snag a property in Rutherford in 1988 after falling in love with the views there. Shortly after moving the family up from Hawaii, they began what everyone else in Napa with a property does, winemaking. Their success with winemaking (a couple of 100 pt wines) would not only cement their legacy, but allow them to expand even further, giving way to Piazza Del Dotto. 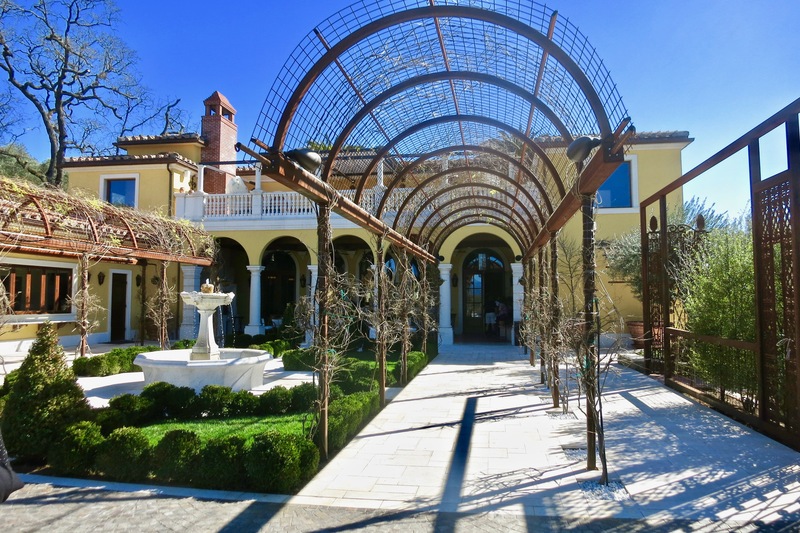 Piazza Del Dotto, boats an Italian-inspired barn, surrounded by acres of Oakville Cabernet Sauvignon, tasting cabanas, vegetable gardens, 17th century fountains, and an outdoor barn. 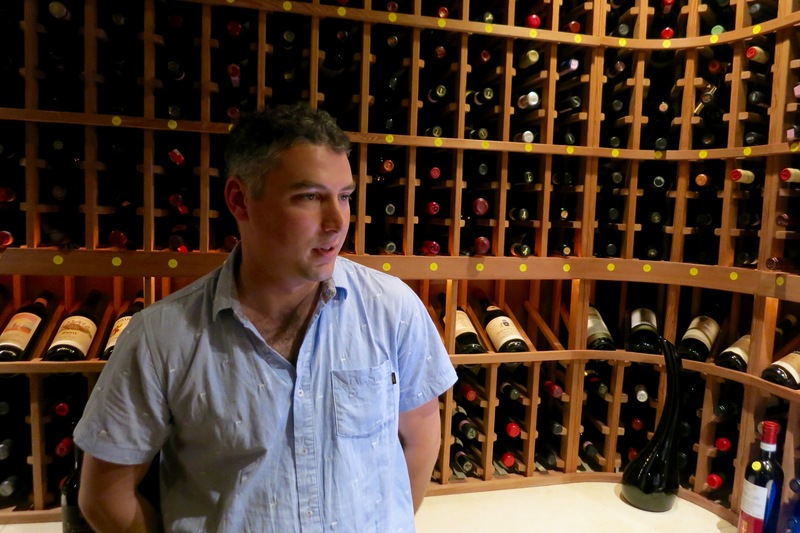 We met Craig Ploof, assistant winemaker for Steven Kent Winery through the grapevine of connections and winemakers on instagram, and were instantly attracted to his personality and his love and passion for good wine. After trying one of the Steven Kent flagships Lineage offsite, we decided that we had to visit, because clearly there was some magic happening in Livermore. What do you do when you’re 15, underage, but manage to get your hand on a beer crafting kit? You make beer, and throw a party. That’s what Ralph Hertelendy did, and little did he know it would eventually come full circle, and he would be making alcohol again years later, but in the form of wine. 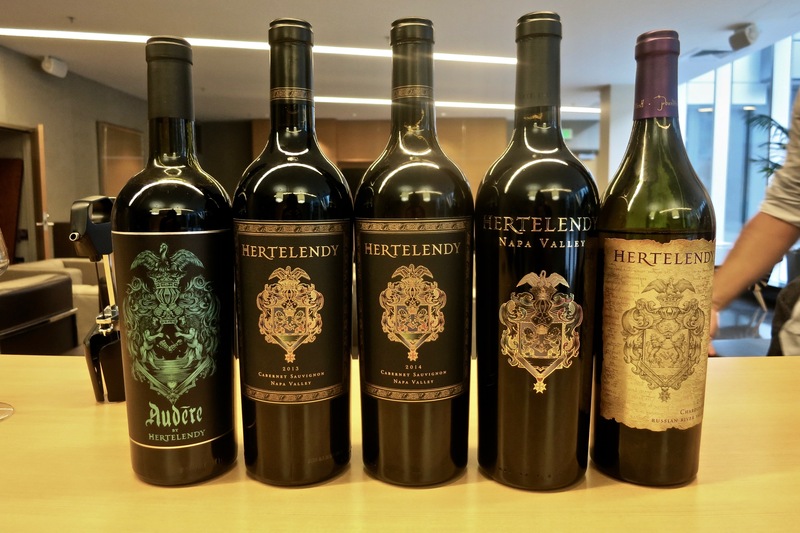 We’ve heard of Hertelendy wines through a various amounts of media such as Ian Cauble’s SommSelect and have seen it on Wine Spectrum newsletters before, and have always been curious to try it, and luck would have it that Ralph reached out to us. While it isn’t often that wineries/owners will come visit us in San Francisco, Ralph was on his way up for bottling and decided to pay us a quick visit at our headquarters in San Francisco. Perhaps like us, you’ve heard of Turnbull and have had their wines and maybe have come to the same consensus that, much like all of Oakville, they make fantastic wines. You’ve maybe driven by it numerous amount of times on Highway 29, and have seen the big Turnbull sign with their big brown barn and paid it no attention. You probably saw their gated entrance and have thought, maybe it’s not worth the effort. Admittedly so, this was definitely us for the last four years despite rather enjoying their wines and (relatively new) labeling. Luckily, we were given a chance to visit Turnbull courtesy of Magnum PR and we’re rather glad we were available to take them up on their offer. While we definitely are active in trying to find great wines, sometimes we miss more than a few, and have to be recommended by our good friends. 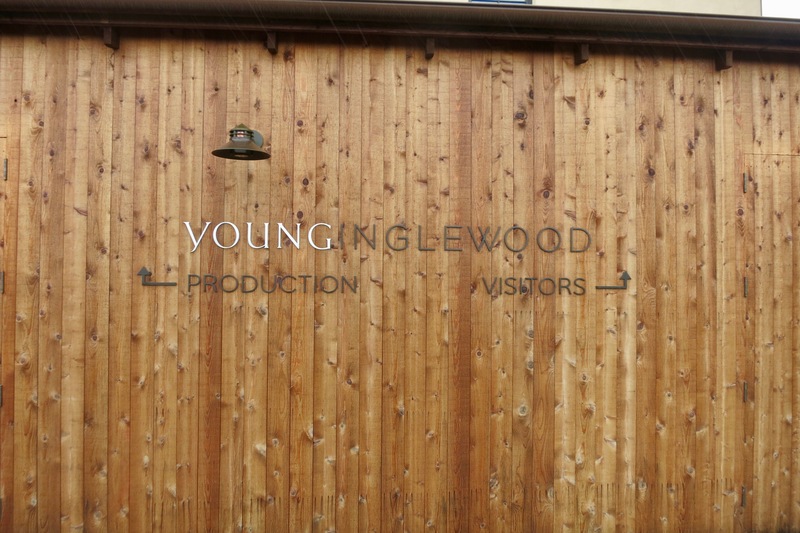 Young Inglewood was one of the wineries that we just didn’t know quite a lot about and it came to our attention after our friend and distributor Nathan Kunzman (The Wine Poor) raved that we had to visit it. While we definitely kept Young Inglewood in mind, we always seemed to have missed them, either they were busy, or we were busy, and our schedules didn’t work out. Every time we would talk to Nathan, he would ask us, “have you visited Young Inglewood yet?” It became such a dragged out process that we were beyond thrilled to find a time that worked for us. It was a rainy day, and Napa was borderline flooding, but that didn’t stop us at all and we sure were glad we stopped by. If you’ve stopped by Calistoga, you would probably notice that this town has it’s own vibe, much different from the atmosphere you normally would find in Napa. It’s fun, quirky, relaxed, and it still provides you with everything that you would expect: good food, good wine, and good people without the fluff. 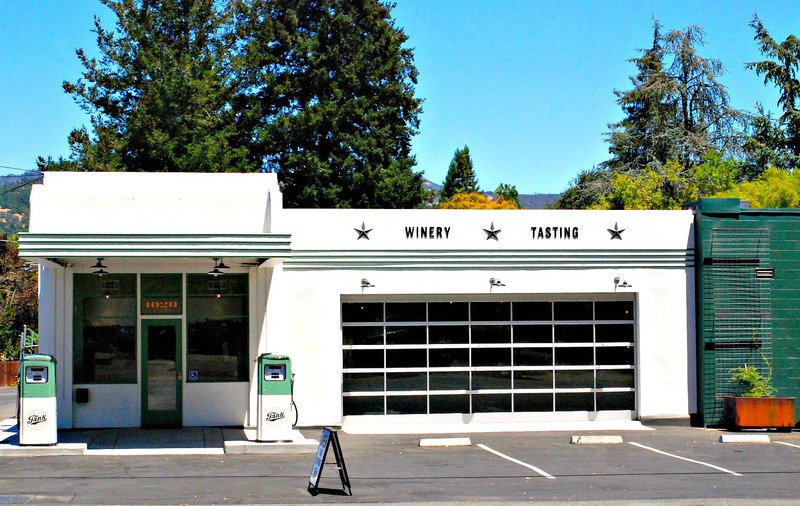 It makes sense that a winery that embodies that spirit of Calistoga is conveniently placed in town disguised as a restored 1930’s gas station. Tank winery has been around for only three years, but they are no strangers to the wine game. Having sister wineries Regusci, T-Vine, and James Cole, Tank has departed from the traditional branding of wineries that they represent and have pushed their own agenda and image. Tank winery is all about living in the moment, and having no rules. 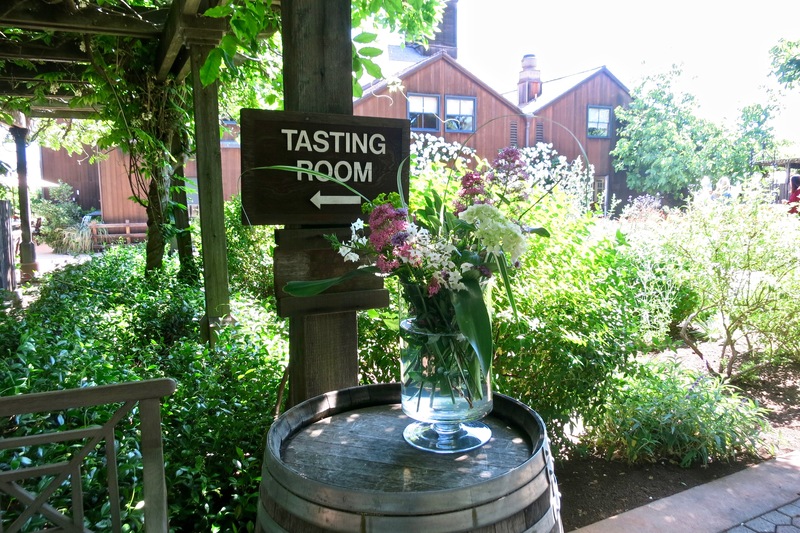 If you’ve been to Napa enough and have strayed off the path of the famous Highway 29, you may have heard of the “warehouse district” of Napa, which houses an unbelievable amount of boutique wineries. Inside, we’ve there lies a small father & son winery called Leaf & Vine, and it’s an absolute gem. We discovered Leaf & Vine on accident while going through a tasting with Ryan Keith, who formerly worked for Plumpjack, Odette, and Cade. While tasting through the new vintages of the three wineries, he also brought out a few bottles of Leaf & Vine, and briefly told us his brother was the winemaker. He then poured us the wines after the tasting and wanted to know what we thought about it. Not really knowing or expecting anything, we gave the wines a shot, and came out loving the wine. After hearing the price point for the wines, we were floored. We knew we had to make a visit. 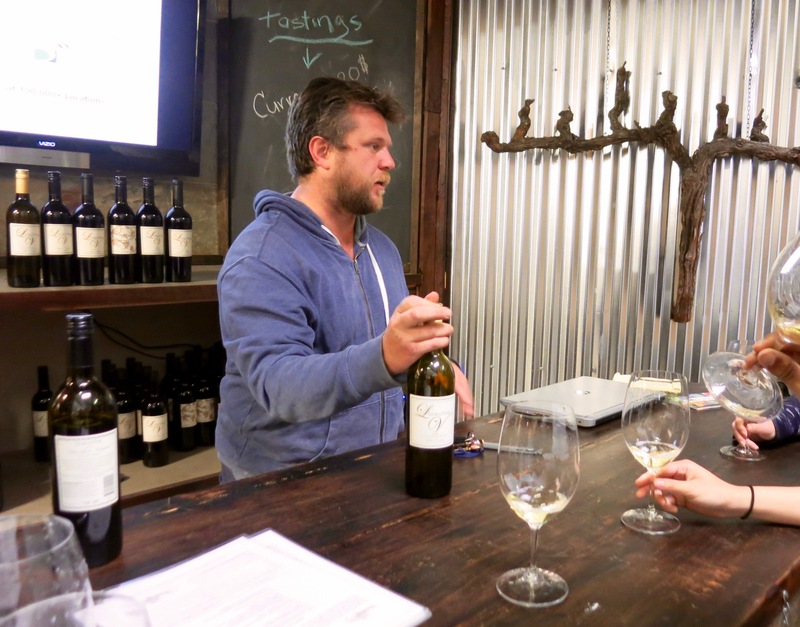 We met up with the winemaker and owner Timothy Keith, and the winery was everything we expected out of one coming out from the warehouse district. A space with no frills, just barrels, fermentation tanks, and a small pop up bar to taste wine inside a giant warehouse. Tim was about as casual as they come, not a shred of stiffness, just a pair of working pants and a hoodie, he greeted us like old friends and showed us around. With a seemingly (now) endless supply of sommelier’s popping up left and right, many of whom pompously bore you to death with theory and tedious tasting notes, there are a few who who stay close to the roots of what being a real somm is, and one of them we recently had the chance to interview is Gianpaolo Paterlini. Gianpaolo, one of the recipients of the Food & Wine Magazine’s “Sommelier of the Year,” is the head Somm at 2-Michelin Star Acquerello as well as the head Somm at modern-ingredient driven restaurant 1760. While vastly different in style, both restaurants feature incredible wine lists that are not only extremely affordable, but boast some hard to find wines as well. While he certainly is credited for achievements as a successful sommelier, we actually find his approach on being a sommelier much more intriguing than the list of awards he has received.